As part of Ochsner’s “community of care” philosophy, this small interdenominational chapel serves the contemplative and spiritual needs of patients, families, and staff. Seen from the main hospital corridor, the chapel manifests a mysterious, luminous presence. 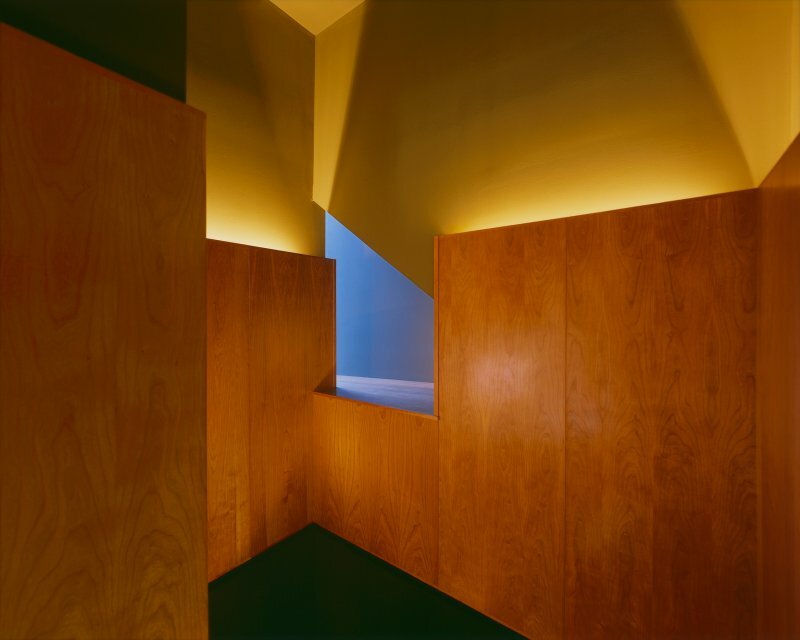 Light emanates from within the space through a stained glass wall narrowing to a vestibule recessed off the hospital corridor. 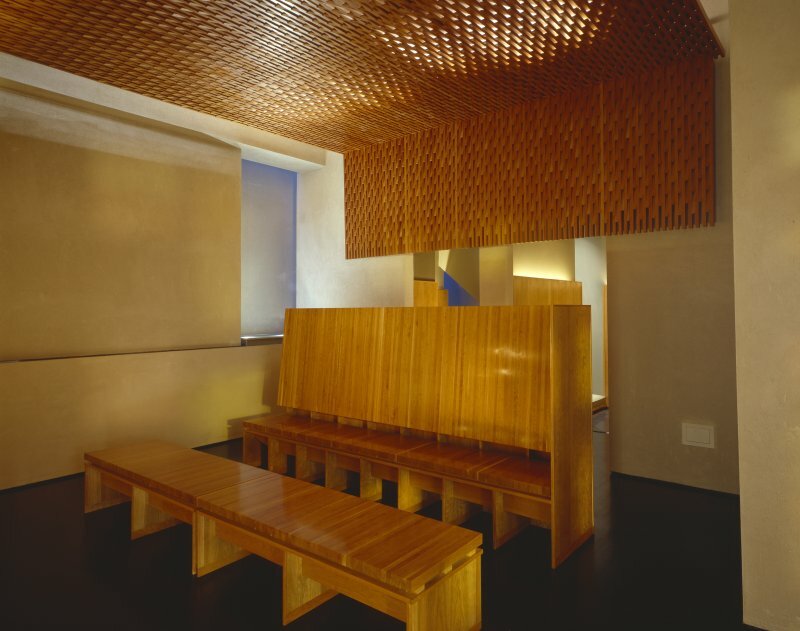 Inside the chapel, three distinct spaces were created – a main worship space with seating for twelve along with two smaller rooms for counseling or private meditation. 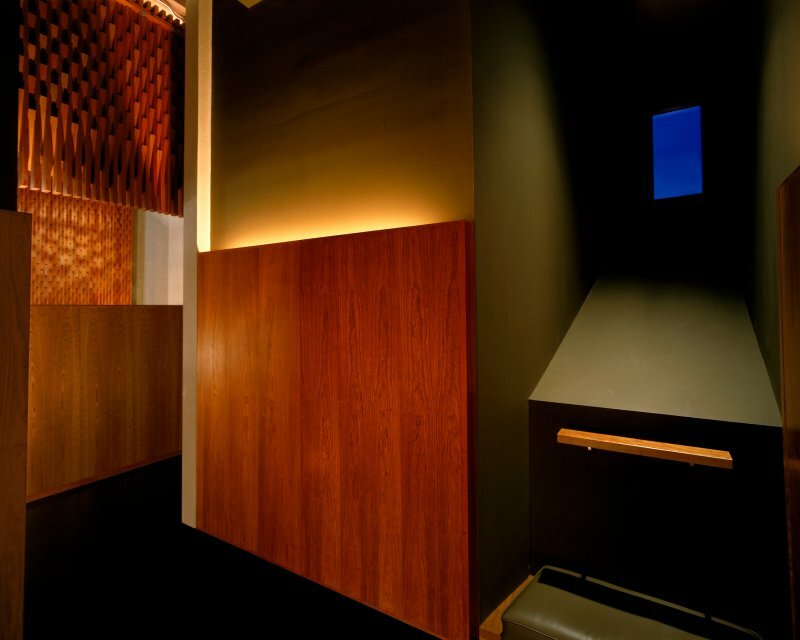 Immediately upon entering one is transported out of the hospital environment and into a realm of the senses. Seemingly untethered and floating within the main area, a wooden ‘shroud’ hovers over visitors like a luminescent curtain. Daylight spills in from a concealed window near a small fountain. Water washes along the interior surface of the rough plaster wall before dropping into a basin beneath a set of cast glass tablets. 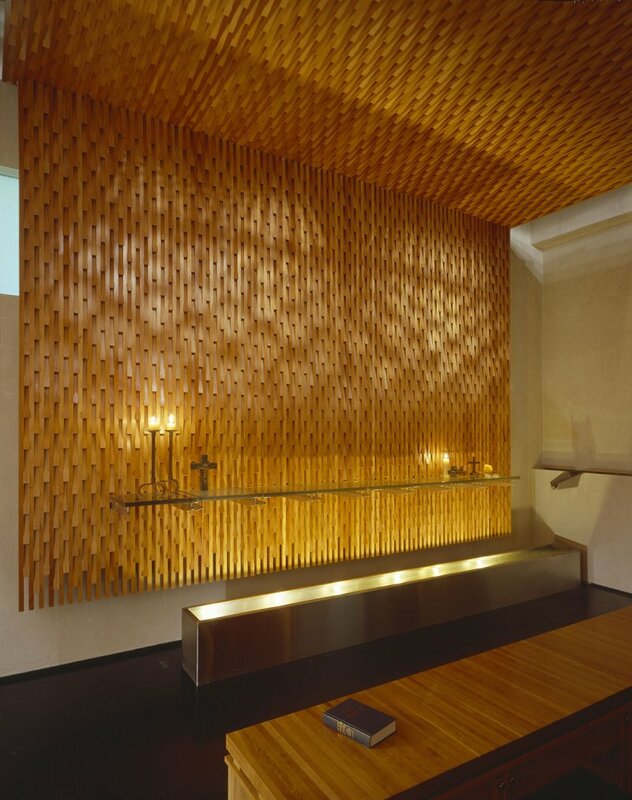 This shelf, lit from below, glows within the chapel as repository for personal artifacts or mementos visitors may bring to the space during prayer. Working collaboratively with a focus group of Ochsner staff and local artisans, the design team created a space to allow for flexible, non-permanent placement of specific religious iconography, while simultaneously introducing universal themes of healing and reconciliation to engage visitors with the spiritual. Water alludes to its healing, life-giving properties. 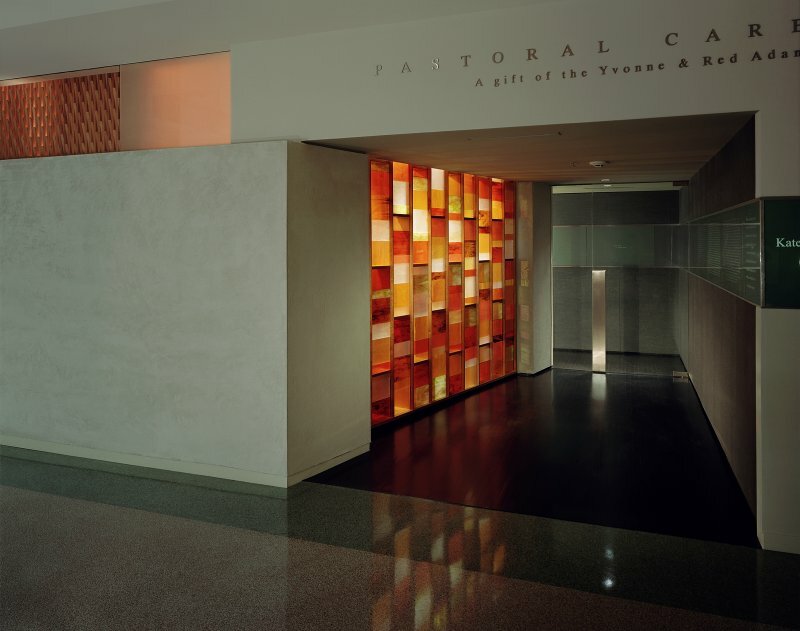 Light, scale, proportion, and material treatments work in tandem to create a memorable experience that engages visitors with memories of the sacred.